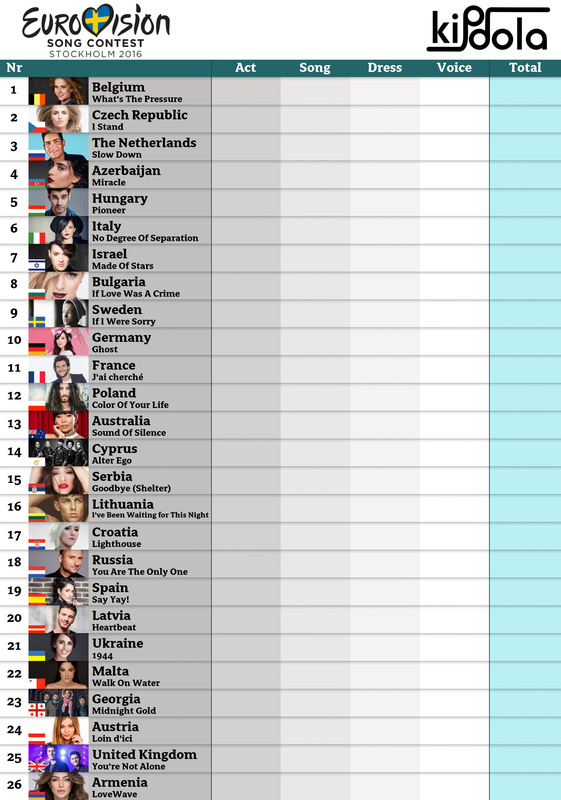 Another year, another Eurovision scorecard. The Eurovision might have tweaked its voting procedure, our scorecards remain the same. We've been using these for seven years now. Voice Does the singer have a nice voice, and was it on-key? Lay off! In fact, he works as a manager here. Bad luck. Who spilled the beans about our plan? I can't believe it. As a rule, we offer a 5% discount.